Chandigarh, August 18, 2017: Connect Broadband, market leader in the Wire-line and Broadband segment today announced the launch of 'Connect Double Reward Point Program' for its customers across Punjab. 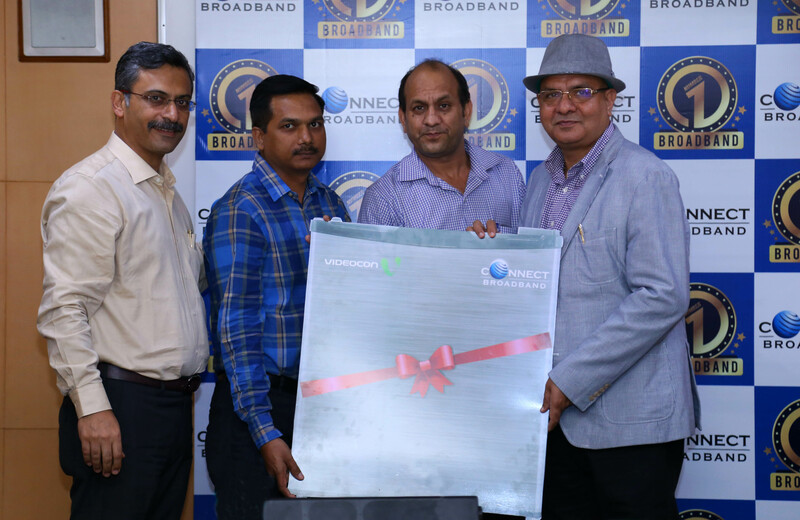 On the occasion, Mr. Arvind Bali, CEO Connect Broadband felicitated some of its customers who have been using Connect services since 2000. Connect Reward program entitles customers to earn double benefit for the amount they spend on consuming any Connect product and service. The customers earn reward points for any transaction with Connect whether it is activating a VAS service, or paying bills online, upgrading the plan, subscribing to e-bill, making payment before due date automated birthday rewards or anniversary rewards. The customers can redeem these loyalty points and use them to avail a range of Connect Broadband services. A customer can now earn double reward points with each transaction done for example a customer use to earn 20 loyalty points on subscribing to e-bill but now with the introduction of "Double Reward program" the points would get doubled to 40 points. Every new and old customer automatically becomes a member of Connect Reward Program. Members enjoy privileges depending on the level of points gathered. The customers can redeem points through any of the available modes as Connect App, website or call centre. Earned points can be redeemed against wide range of products & services such as TOP UP's (Local, STD, and ISD), Data on demand, and many more. The reward points accumulated from time to time can be checked through the Connect Broadband App. Mr. Arvind Bali, CEO, Connect Broadband said, "We feel humbled to have earned the support of over 3lacs customers in Punjab alone. We consider this an important milestone. This journey of two decades is an incredible milestone that we certainly wouldn't have accomplished without our loyal patrons. Seeing how our customers already interact with our brand, Connect Rewards offers them an organic way to benefit. For us, it means happy customers, increased customer engagement, retention, and revenue. We always try to engage with our customers at all touch points of their journey and reward them."